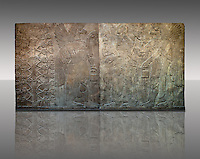 British Museum London Assyrian antiquaries collection of Assyrian relief sculptures orthostats against an art background. 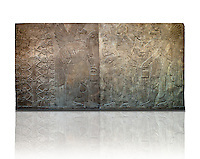 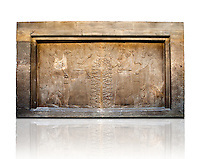 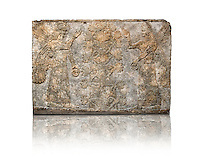 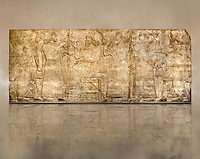 The British Museum collection houses Assyrian relief sculpture panel from Nimrud, Iraq. 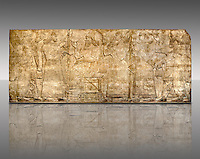 865-860 B.C North West Palace, as well as Assyrian relief sculpture panel of soldiers lining the road from the King Ashurnasirpal lion hunt. 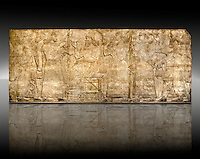 From Nineveh North Palace, Iraq, 668-627 B.C. 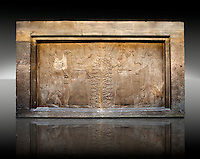 The British Museum London is one of the foremost historical museums in the world. 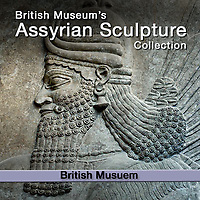 The British Museum houses important unique collections from all around the world as well as major collections of antiquaries and artefacts from antiquity. 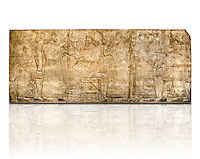 The Assyrian collection at the British museum is an important source of learning for academics and enthusiasts of ancient world. 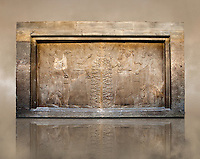 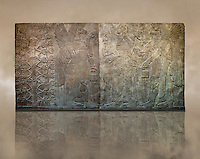 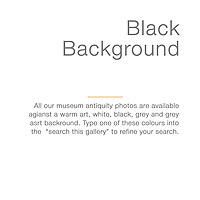 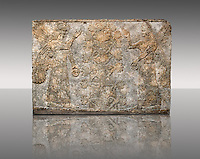 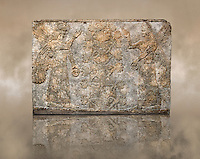 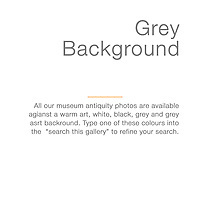 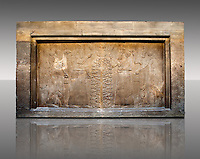 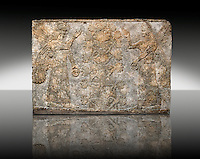 Pictures and images of Assyrian Relief Sculptures from the British Musuem can be bought on line as photo art prints or downloaded as high resolution stock photos. 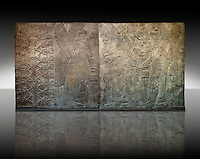 Non editorial use require rights permission form the Trustees of The British Museum, London.